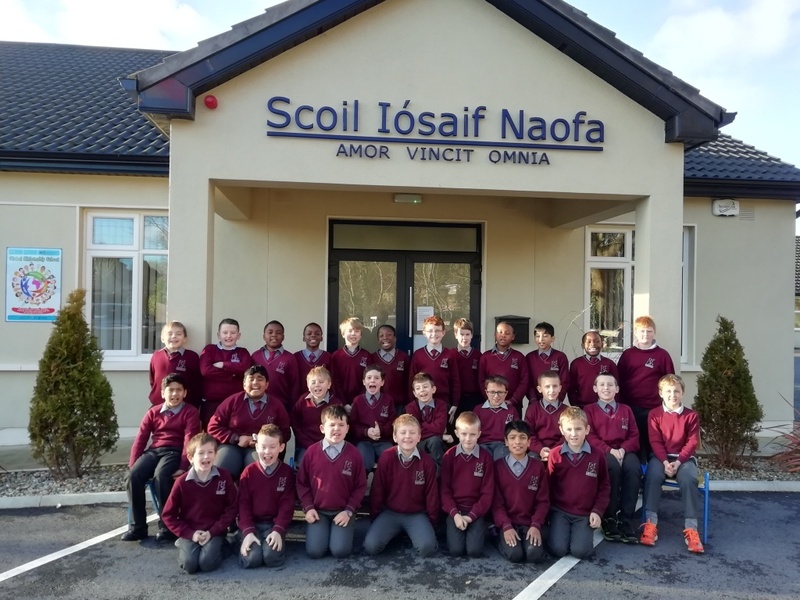 Scoil Iósaif Naofa is an all-Boys Primary School, catering for students from First to Sixth class, in which we strive to provide a well ordered, caring, happy and secure environment where learning opportunities abound. Our school fosters a welcoming, positive and inclusive climate where values of self - worth, respect, equality and understanding are cherished and promoted. 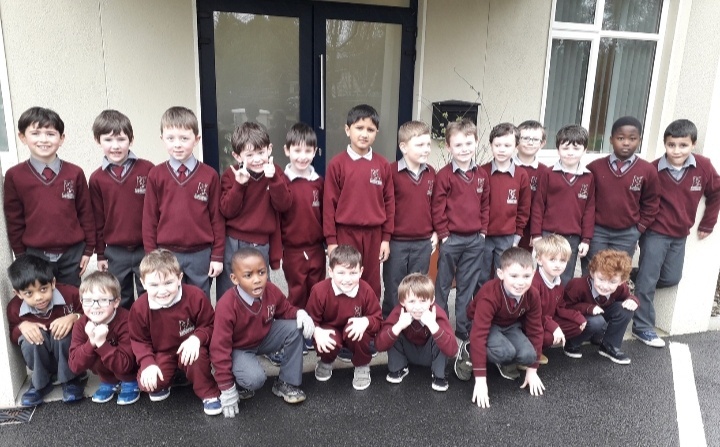 Scoil Iósaif Naofa is a place to grow in friendship and life learning and when your child leaves at the end of sixth class we always hope to send them off being fully equipped to walk well through the rest of their education and life. 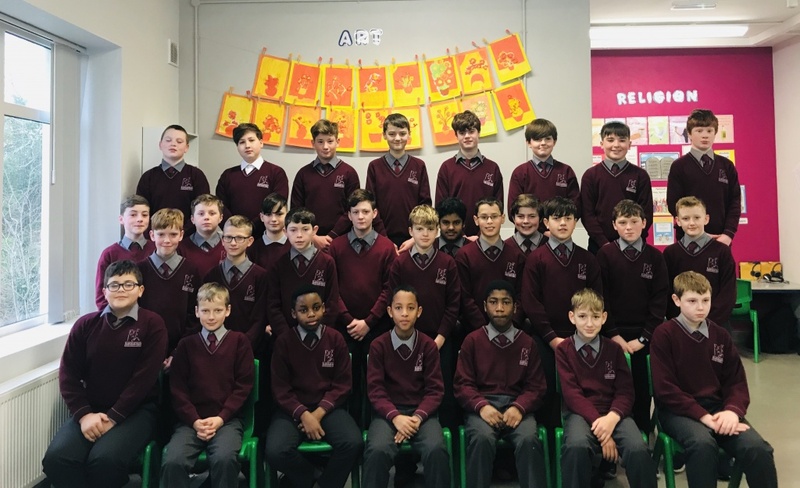 Scoil Iósaif Naofa is a vibrant and multicultural community which embraces all creeds, religions and backgrounds while promoting our Catholic ethos. 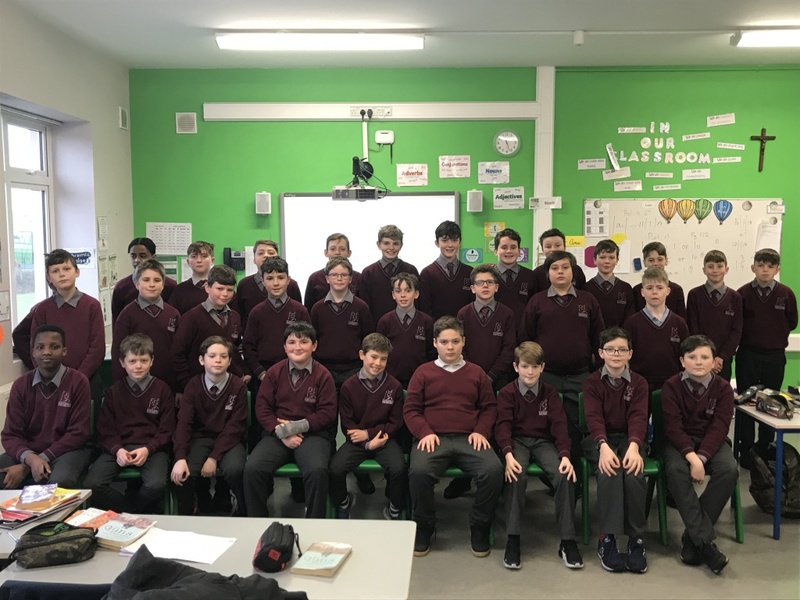 We promote an appreciation and love of Irish culture and language while also forging a knowledge of and respect for other cultures within our school. 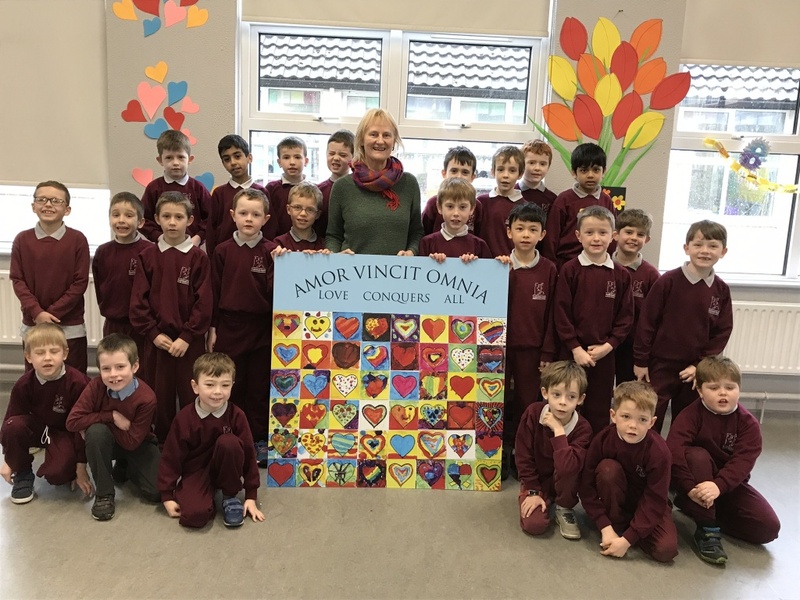 Our school motto is “Amor Vincit Omnia” which translates to ‘Love conquers all’. We aspire to holding this motto as part of our daily interactions and teachings. Scoil Iósaif Naofa affords many opportunities for our pupils to thrive and to develop their own strengths and talents. Opportunities such as band, choir, football, hurling, handball, basketball, soccer, drama, athletics, swimming, debating, quizzes, are but a few of the many experiences we provide for our pupils. 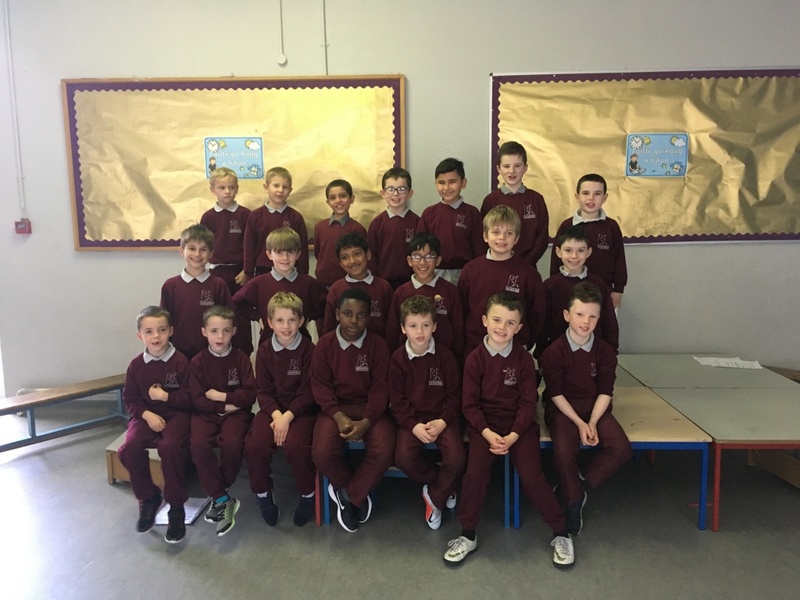 Scoil Iósaif Naofa holds many County, Provincial and All Ireland titles for our sporting achievements. Our Trophy Cabinet says it all. Over the years we have built up and sustained many school awards through hard work, dedication and a love of learning amongst our dedicated staff and pupils. We have just been awarded our 8th Green Schools Award. We are committed to STEM progress in our school having just received our annual accolade of ‘Discovery Primary Science and Maths’ award. We are an active school and pride ourselves in our Active Schools status. Our most recent success has been in receiving our Digital schools of Distinction Award. We are a proactive and progressive school and take huge pride in the wealth of experiences we provide for our pupils. Our pupils thrive because they are supported, encouraged, cared for and given a real sense of belonging. Leadership is fostered through the establishment of the Students Council, Green Schools committee, Health promotions Committee, The Active Schools Committee. All children learn the importance of teamwork, respect and commitment through their involvement in these committees. As Principal of Scoil Iósaif Naofa It is an absolute privilege to be a part of such a wonderful school community. 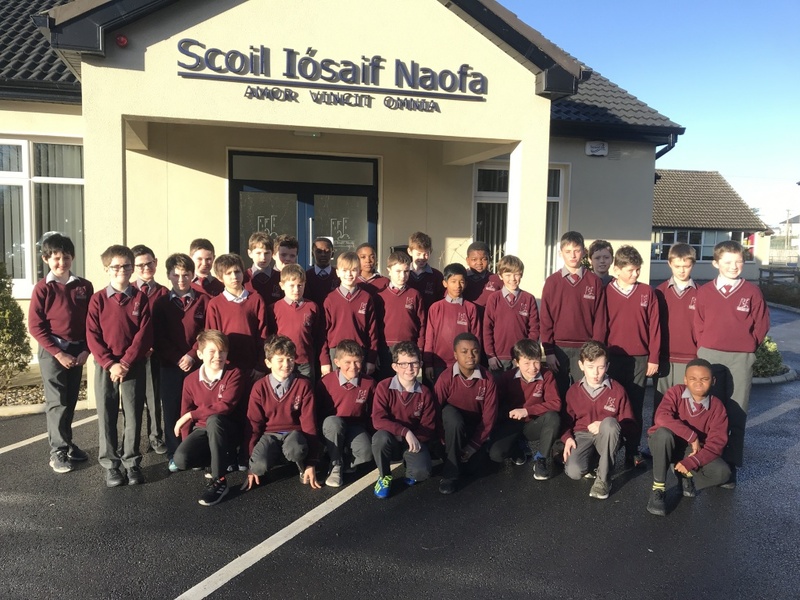 Our 271 pupils, 17 teachers, 7 SNAs, School Secretary, Caretaker, and Parents are what make Scoil Iósaif Naofa a unique school and one we are immensely proud of.